Web Hosting, Domain and VPS - TLD6.com: Linux And Windows Hosting: What’s Your Need ? Every website needs space on server which allows a website to be accessible on internet, for that web hosting services are required. Today, web hosting services are the first requirement for a website for its presence on world wide web. Most of web hosts provide two types of website hosting: Windows hosting & Linux hosting. These are the most common hosting services available in the market. Below mention is the brief description about the services. Linux is the open source OS. Linux is very popular in hosting industry for providing web server, email hosting & DNS services. Linux platform supports Python, Perl, PHP etc. scripting languages & also supports MySQL database. This is very reliable & stable. Cost of Linux hosting is less than windows hosting. So small, medium & large size businesses can host their websites by using this platform. A website designed to be hosted on Linux server can be hosted on windows server. Linux hosting service is widely used than windows hosting service. But this is not compatible with Microsoft technology. In website hosting service, your website hosts on Microsoft windows server. This hosting supports MS SQL, ASP & ASP.NET languages. 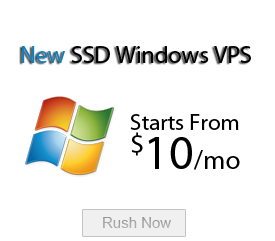 Uptime of Windows hosting service is less than Linux hosting. Website designed to be hosted on windows server can’t be hosted on Linux server. Windows servers are user friendly than Linux servers. Cost of these hosting services is higher than the Linux hosting services because you required purchasing power pack along with MS SQL database. But windows hosting service is less popular than Linux hosting service. So when you choose the web hosting service, first thing is what type of scripting language you need for your website & Second thing is your budget. So choose your web hosting service provider today.